Midway is a perfect theme for any travel business. 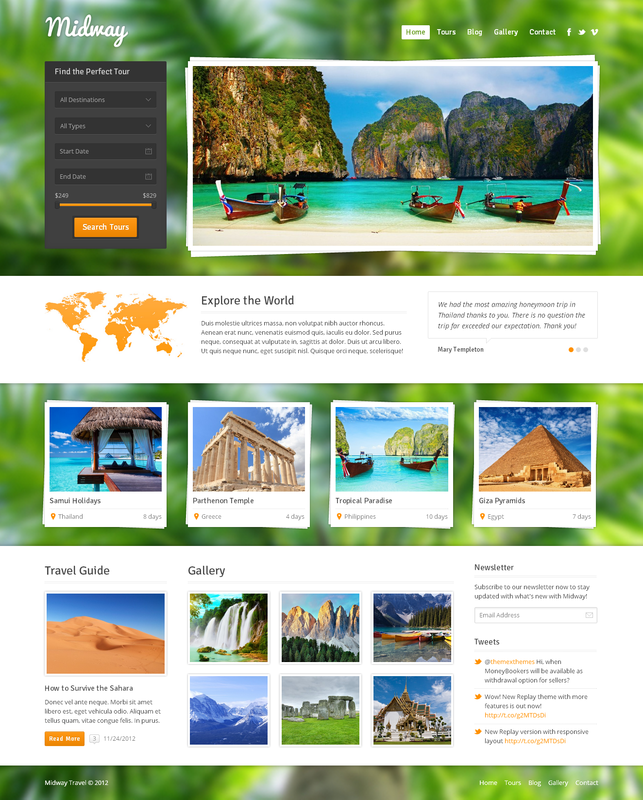 It is really easy to use and customize, comes packed with powerful tools for managing, searching and booking tours, changing styles and more. Each post type has its own custom fields and editing tools, such as gallery manager and destination based categories for tours. 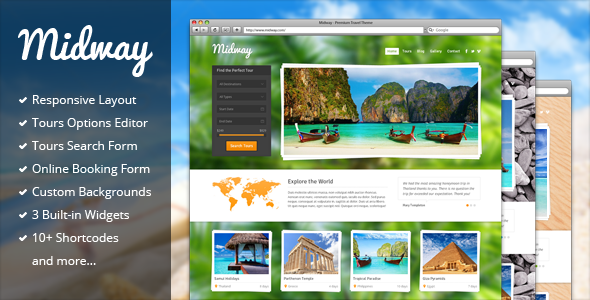 Managing tours, galleries, testimonials and slides is easy with Midway! This theme has powerful options panel. You can fully change fonts, colors, backgrounds, slider settings, switch between page layouts, create sidebars, edit contact form fields and more. Support for this theme is provided via the support forum, please use your purchase code to register. Please read existing support topics and documentation before adding a new topic.